For Hong Kong Chinese Residents that have U.S. Citizenship; maybe it's Time to re-consider? Scott Michel, a partner and President of Caplin & Drysdale, a DC-based law firm, advises that on July 10, 2013, the Hong Kong Legislative Council moved to enable Hong Kong to enter into stand-alone Tax Information Exchange Agreements and, more importantly for U.S. persons who have financial accounts there, to sign an “intergovernmental agreement” (IGA) with the U.S. for implementation of the Foreign Account Tax Compliance Act (FATCA). It is expected that the U.S. and Hong Kong will agree on an IGA, and that financial institutions in Hong Kong will begin to comply with FATCA’s due diligence and automatic disclosure provisions next year. The implications are profound for any U.S. citizen, green card holder or tax resident who has non-U.S. financial accounts or other financial assets, such as life insurance, retirement plans and the like. 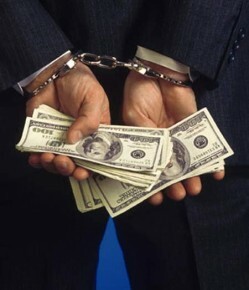 FATCA will require banks and other entities to ascertain which clients are subject to the U.S. tax system, to ask them to sign a W-9 form making their account transparent to the IRS and a waiver of domestic bank secrecy or confidentiality rules, and to begin in 2014 to share data with the IRS regarding their assets. 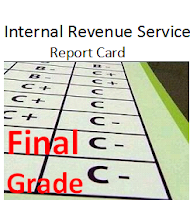 To the extent affected Americans have not complied with U.S. tax rules, they should consider their options in order to try to spare them from the most extreme enforcement measures available to the IRS. Automatic Information Exchange Comes to Central The towering skyscraper financial firms in Central hold trillions of dollars in funds among millions of account holders and offer wealth and trust management services, insurance and annuity products, retirement plans, and the like. Many clients of these entities have a U.S. passport or green card. Maybe it is time to reconsider their U.S. 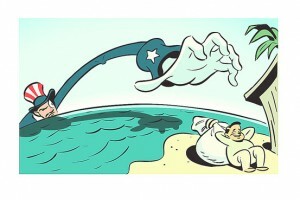 Citizenship and Expatriate? 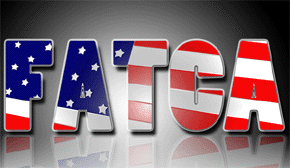 Need FATCA or Expatriation Advise? Offshore Voluntary Disclosure Practice: IRS Report Card: C-? Steven Mopsick has an interesting view of how well or poorly the IRS has preformed in it's Offshore Voluntary Disclosure Program (OVDP). 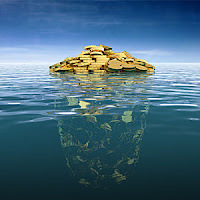 It should be obvious to practitioners and taxpayers alike that the IRS offshore voluntary disclosure program first announced in 2009, is not for everyone. It is expensive, time consuming and sometimes nerve-wracking. But for those taxpayers and practitioners who still consider it an option, here are some miscellaneous comments and observations. What has been your experience as to how the IRS has preformed in it's Offshore Voluntary Disclosure Program? Please feel free to add your comments! Also, feel free to advise the IRS directly, since they are currently seeking comments on Offshore Voluntary Disclosure Program! Want to Make an Offshore Voluntary Disclosure? Are You Ready for Back-to-School Sales Tax Holidays? are temporarily dropped on back-to-school items such as clothing, footwear, classroom supplies, computers and certain other products, according to CCH. Florida: On Aug. 2-4, the following are exempt: clothing with a sales price of $75 or less per item and school supplies with a sales price of $15 or less per item; and personal computers and related accessories with a sales price of $750 or less purchased for noncommercial use. The holiday exemption does not apply to sales of such items made within a theme park, entertainment complex, public lodging establishment or airport. For a complete listing of State Sales Tax Back to School Holidays see AccountingToday. Could This Be The End of Income Stripping? 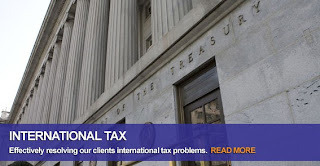 The U.S. Internal Revenue Service is pursuing tax enforcement cases against companies over the issue of "stateless income," a senior agency official said on Wednesday Jul 24, 2013 in a reference to corporate profits that are not taxed by any country. 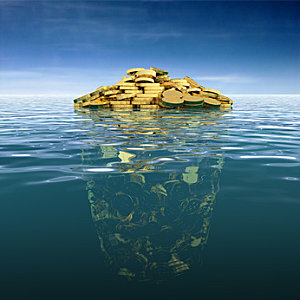 Erik Corwin, an IRS deputy chief counsel, said there were international tax disputes with companies, "most involving consequences of complex restructurings designed either to create stateless income or to affect a tax efficient repatriation." "So those are a family of cases that are in the pipeline and being looked at," he told tax lawyers in a speech in Washington. "I have not heard the IRS use the term before," Edward Kleinbard, who coined the "stateless income" phrase in a 2007 research paper, said in a telephone interview. By “stateless income,” I mean income derived by a multinational group from business activities in a country other than the domicile of the group’s ultimate parent company, but which is subject to tax only in a jurisdiction that is not the location of the customers or the factors of production through which the income was derived, and is not the domicile of the group’s parent company. Stateless income thus can be understood as the movement of taxable income within a multinational group from high-tax to low-tax source countries without shifting the location of externally-supplied capital or activities involving third parties. Stateless persons wander a hostile globe, looking for asylum; by contrast, stateless income takes a bearing for any of a number of zero or low-tax jurisdictions, where it finds a ready welcome. Germany or in the U.S. where the parent company resides. The same analysis would apply to a German firm whose income from sales to U.S. or French customers comes to rest for tax purposes in Luxembourg. Concern over stateless income was raised in May when the Senate Permanent Subcommittee on Investigations released a report that found Apple Inc avoided $9 billion in U.S. taxes in 2012 using a strategy involving three offshore units with no discernible tax home or "residence." The IRS official's comments came days after the G20, a group of leading world economies made up of 19 countries plus the European Union, voiced support for a fundamental reassessment of the rules on taxing multinational corporations. "We must address the persistent issue of 'stateless income,' which undermines confidence in our tax system at all levels," U.S. Treasury Secretary Jack Lew said in a statement on July 19 following the OECD report. Need Up To Date Tax Planning Advice? WASHINGTON, July 24 (Reuters) - The U.S. Internal Revenue Service is pursuing tax enforcement cases against companies over the issue of "stateless income," a senior agency official said on Wednesday in a reference to corporate profits that are not taxed by any country. He is a former chief of staff to the congressional Joint Committee on Taxation and now a professor at the University of California.